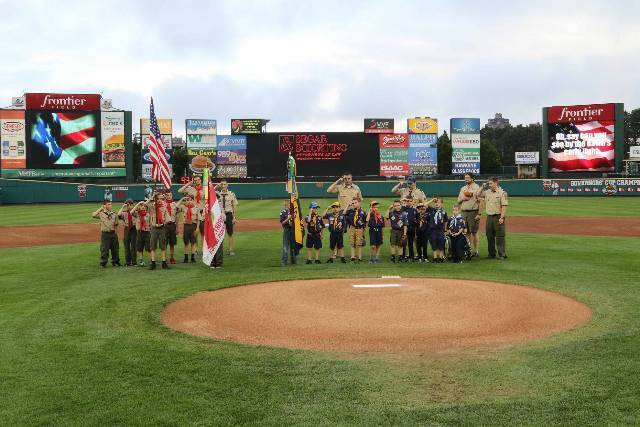 Welcome to Fairport NY, Cub Scout Pack 225's website! The Cub Scout program is designed around fun, age-appropriate, character-building activities for boys between kindergarten and fifth grades. Pack 225 is dedicated to planning and providing activities that appeal to a wide range of interests, including hikes, bike rides, fishing trips, swim nights, sporting events, picnics. . . and camping. We go camping three times each year as a Pack. Additionally, we encourage each boy and a parent to attend Cub Scout Adventure Camp during the summer. In short, there is something for every boy to look forward to, get excited about and from which to learn and grow. Aside from the special events that are scheduled throughout the year, we meet as a Pack once each month from September through May. Pack meetings are held in the Northside School cafeteria, typically on the third Tuesday of each month. 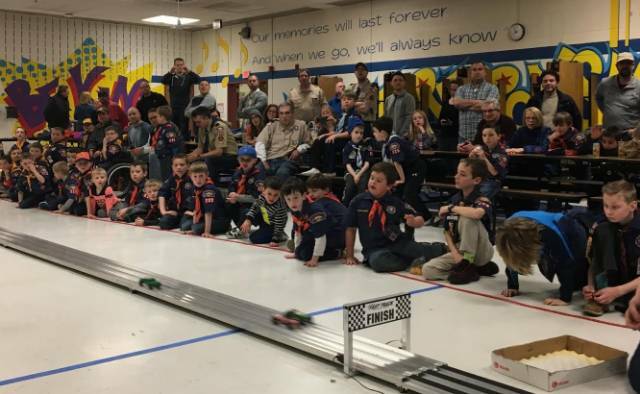 Each Pack meeting has a theme, from a Halloween party to a birthday party, pinewood derby to space derby and much, much more! Our Cubs look forward to getting together each month. Additionally, each den (smaller groups of all boys in a given grade) are also held at Northside Cafeteria on the first or second Tuesday of the month depending on the current scout rank. Den meeting are the place where much progress is made towards advancement to the next rank. We encourage parents to be involved and we design the programs as "scheduled family-time". Many of the events we plan are for the entire family. We are not a drop-off program and we want you to get involved. Come share your scout's adventures. Through our program, your son will learn something and you will learn something about him. We realize that our scouts and scout families are busy and involved in other activities. Not to worry. There is no requirement that you or your son participate in every activity. Cub Scouting should not be a burden. It should be something that you and your son enjoy together. So join us as often as you can to take advantage of the wide range of experiences we offer. Visit our JOIN THE PACK! page for details about our Pack!